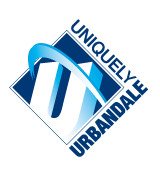 School Board members are elected to represent and carry forth what is best for students and families in the Urbandale Community School District. They volunteer their time by attending, collaborating, and leading semi-monthly work sessions and board meetings in addition to countless hours spent outside of designated meeting times in order to ensure their tasks are fully accomplished. Board members pursue the continual improvement of the District by “leading by example” and embracing continual improvement throughout all of its practices. Following each meeting, Board members self-assess their preparation for and participation in the meeting and create action plans for improvement as they strive for greater Board effectiveness. Board members uphold the District’s mission to teach all and to reach all, and uphold the District’s vision to bring learning to life for everyone. governance of Board Policy and Operating Protocol.